"An Act of Contrition" sounds better. Eric Holder is writing his autobiography already? That would be a different title - e.g. "A Dishonest Mistake". 1) What percentage of mistakes are actually honest ones? 2) What percentage are dishonest ones pretending to be honest ones? 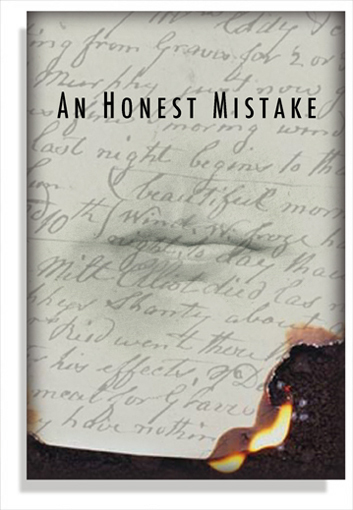 3) What's the difference between an honest mistake, a dishonest mistake and an innocent mistake? 4) What do you call it when someone makes an honest mistake & insists it never happened, even when confronted with overwhelming evidence of said mistake? Half of the country made "An Honest Mistake" when they believed in Change and cast their vote. If they do it again, it CAN'T be called "Honest". To paraphrase Benjamin Disraeli in one of his rants against Lord John Russell (change the subject to Barak Obama): "If a traveller were informed that such a man was leader of the United States (Disraeli-House of Commons) he may begin to comprehend how the Egyptians worshipped an insect." This page contains a single entry from the blog posted on January 17, 2012 12:34 PM.